1st Place: Kyle and Michael Kaser spent time looking for fish on beds the day before the tournament, unfortunately, they only found one of those still sticking around on Saturday. 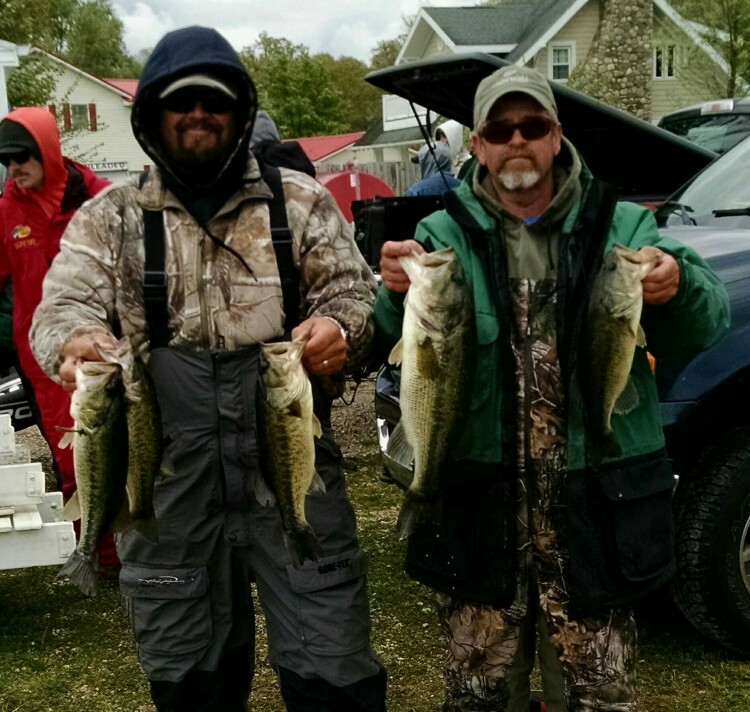 Nevertheless, they were not deterred and amassed a 13.20 pound limit on the coldest May 14 in 115 years! Included in their bag was the second biggest bass of the day, a 3.90 pound largemouth that they plucked off of a bed. After 20 minutes of harassment, the big fish couldn’t resist an Xtreme Bass Tackle tube. This was the lone fish that remained from Friday, and, despite spending their entire day in channels, only one of two bed fish they captured all day. The majority of their fish were caught with a Strike King Red Eye shad in a bluegill color pattern. Kyle explained, “We ran the channels all day. There were a lot of empty beds, so we threw the Red Eye Shad with a stop and go retrieve.” By 10:30, they hand finished their limit and went on to catch a dozen keepers with this pattern. The victory earned them $627, a Rod Bender Baits certificate, plus the big fish added another $55, making their total winnings $682. 2nd Place: After their second Top 5 finish this season (Hamilton Lake), Mark Farver and Steve Kline find themselves just one shy of tying legends Greg Mangus and Kevin Fletcher in that category with 13 total. 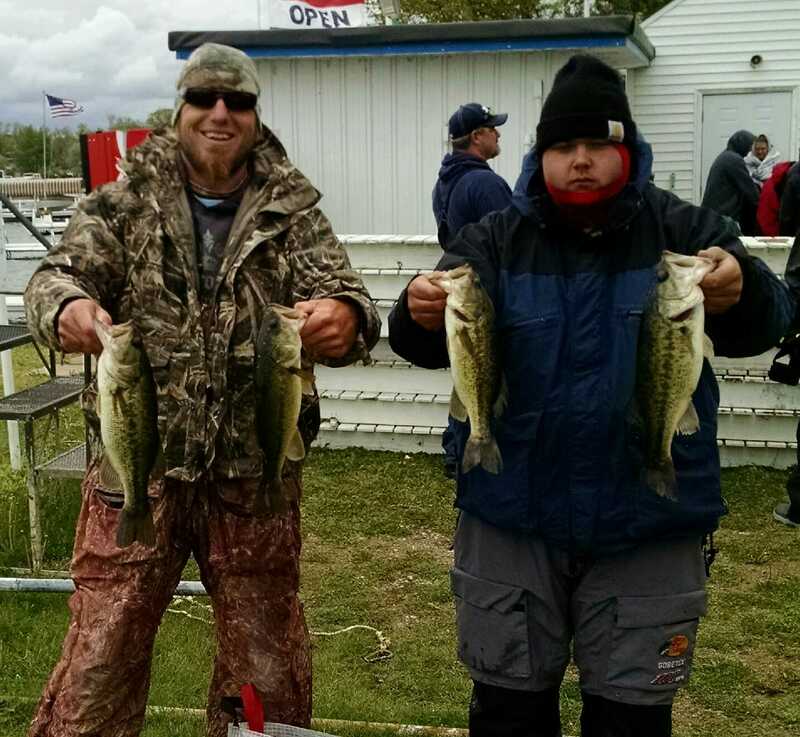 On top of that, their 12.59 pound limit landed them $335, which was complimented with the biggest bass of the event, a 4.74 pound largemouth securing them another $224. Along with swelling up the Records page, they took home a cool $595. Like other teams, Kline revealed their game plan was to target bedding fish located in practice, “Unfortunately, a team beat us to some fish we wanted to target, so we had to adjust.” Indeed they did. Instead of targeting bedding fish in the channel they began, Kline began swinging a critter craw on the outside edge of the weeds. On his second cast, he was awarded the big fish. They went on to catch numerous sub-legal fish and finish their limit. Keeper fish, however, were still difficult to come by. 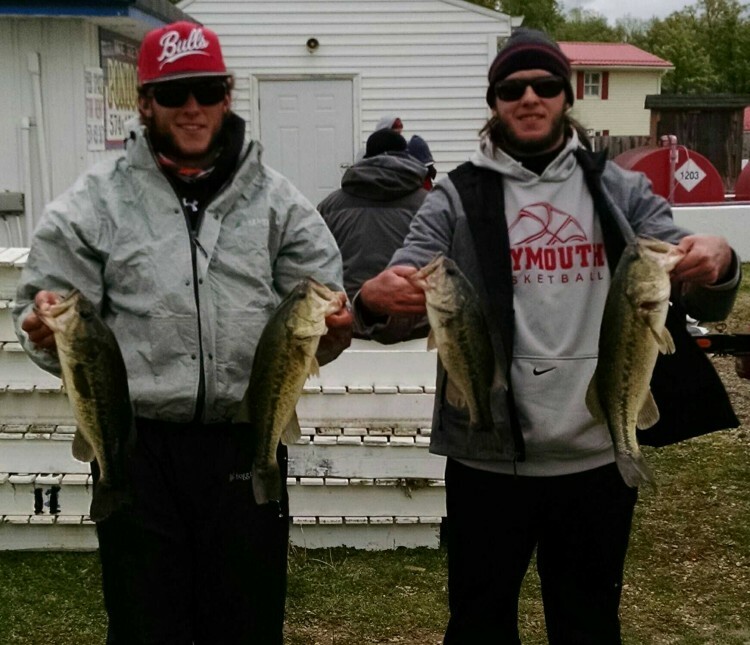 With 90 minutes remaining, beyond the big fish, they had a small limit. Fortunately, during the waning minutes, a move to a different channel produced three cull fish boosting their final weight. While the team did catch some fish off of beds, most of those were thrown out with bigger fish caught on the critter craw along the weedline. The critter craw was rigged Texas style with a 1/16 ounce tungsten weight. 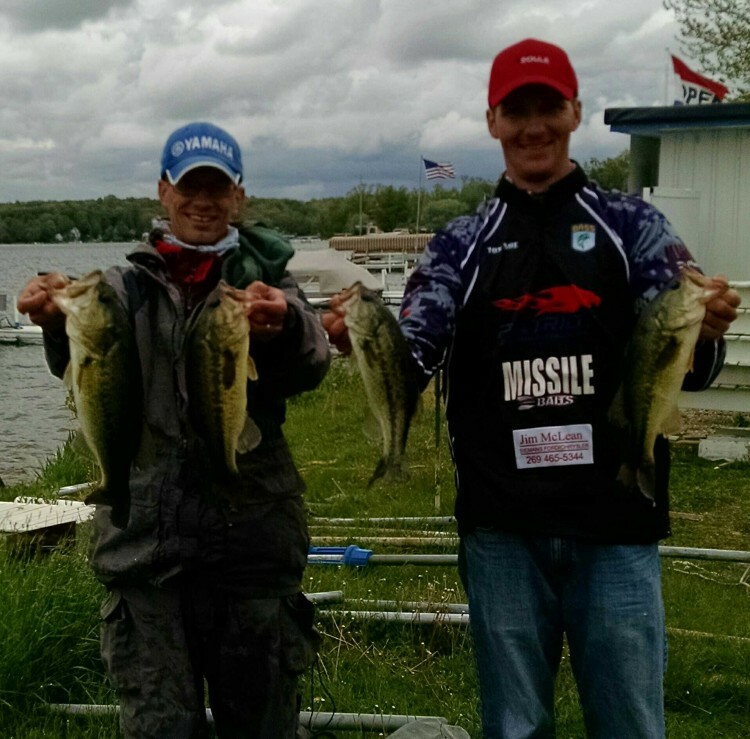 3rd Place: Reigning 2015 champions, Tom Noe and John Gipson, Jr., made their second Top 5 finish in the West Division this year by bringing 10.15 pounds to the scales and locked $220 into their wallets. Bed fish were also on their minds early, and in little time they secured a limit, but it weighed a paltry 6 pounds. It was at this time an idea dawned on Noe, “John was working a bed so instead of just standing with the net, I threw out a chatterbait with a Missile Baits Shockwave as a trailer.” That decision paid back in spades. Almost immediately his rod was bowed, and it repeated. “Not only did the fish eat it, but we caught better fish with it than what we saw on the beds, so we both switched to it,” revealed Noe. For the remainder of the day they hopped from one channel to the next throwing the chatterbait along the outside weed edges. The chatterbait resembled a bluegill color scheme. 4th Place: Normally a Top 5 finish makes a team content, but that normally doesn’t include a lost 6+ pound fish. So was the case for J.R. and Amos Troyer, “We were just sick to ourselves,” admitted J.R.. They located the fish on Friday, but with a high boat draw they were not the first to target this fish and were forced to start elsewhere. Around 11:00 with four fish in the livewell, they decided to check her out again. “When we got there, another team was working her over,” explained J.R., “so we backed off and hoped for an opportunity.” To their surprise, the team actually offered her up after 20 minutes. On their tenth cast, she bit. After a brief battle, and in plain sight, she came unhooked. She would not be fooled again. With broken hearts and 90 minutes remaining they finished out a 9.31 pound limit to earn $175. Their fish were taken off of beds with a combination of critter craws rigged both Texas style with ¼ ounce weights and ¼ ounce standup jigs. 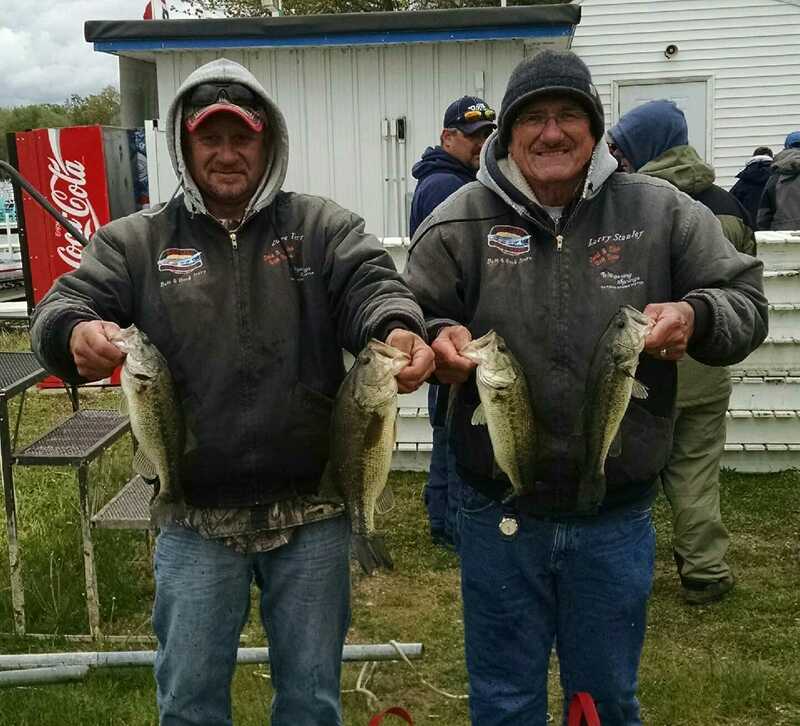 5th Place: Dave Terry and Larry Stanley backed up their win on Lake Maxinkuckee with another Top 5 finish. This is despite Stanley’s languid fear of being “too old” to compete with better looking people like the tournament directors. Out of respect to their victory, an encore performance of last hour heroics was, again, an order. The bedding fish were caught on a trio of baits: a wacky worm, jig, and critter craw. However, these final fish were caught fan casting a wacky worm. An 8.92 pound limit won them $100. 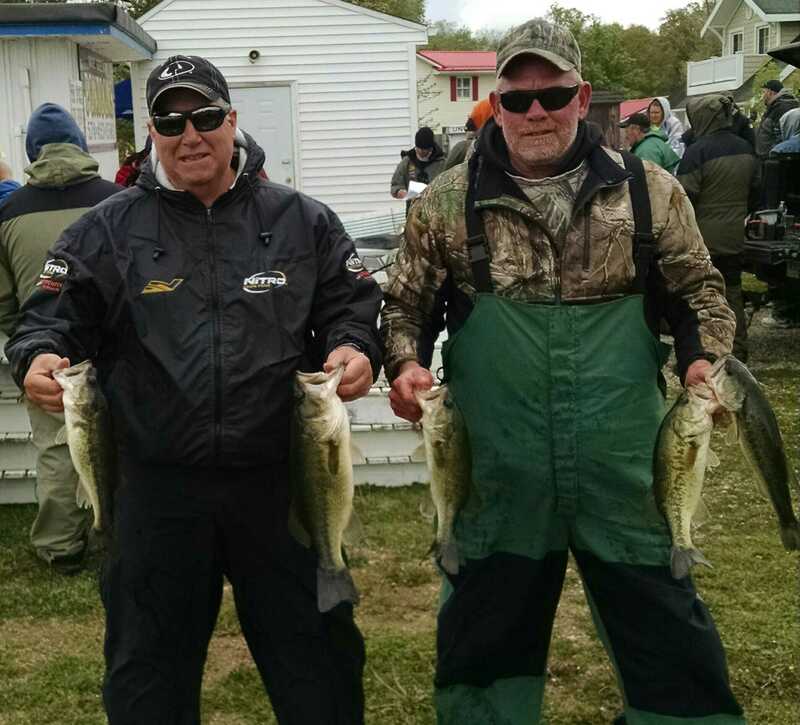 Rocky Brook Sinker Award: An 8.62 pound limit by Greg Kiser and Jim Jenkins won them a tackle pack provided by Rocky Brook Sinkers. Schnelker Marine & ProX Outfitters Award: Zachary Suchanuk and Cole Schroder brought 4.29 pounds to the scale to win a $25 gift certificate redeemable at Schnelker Marine or online.